In a large bowl, add the cabbage together with the onion and bell pepper. In a small saucepan, combine the mustard, vinegar, beer, ketchup, sugar, hot sauce, garlic salt and cayenne. Over a medium heat bring the mixture just to a boil. Pour the sauce over the cabbage and toss until well coated. Chill covered for at least 4 hours, overnight is best. Remove the bratwurst from its casings and form ten small patties. Cook the patties for 3 to 5 minutes or until an internal temperature of 160°F is reached. Lightly toast the rolls. 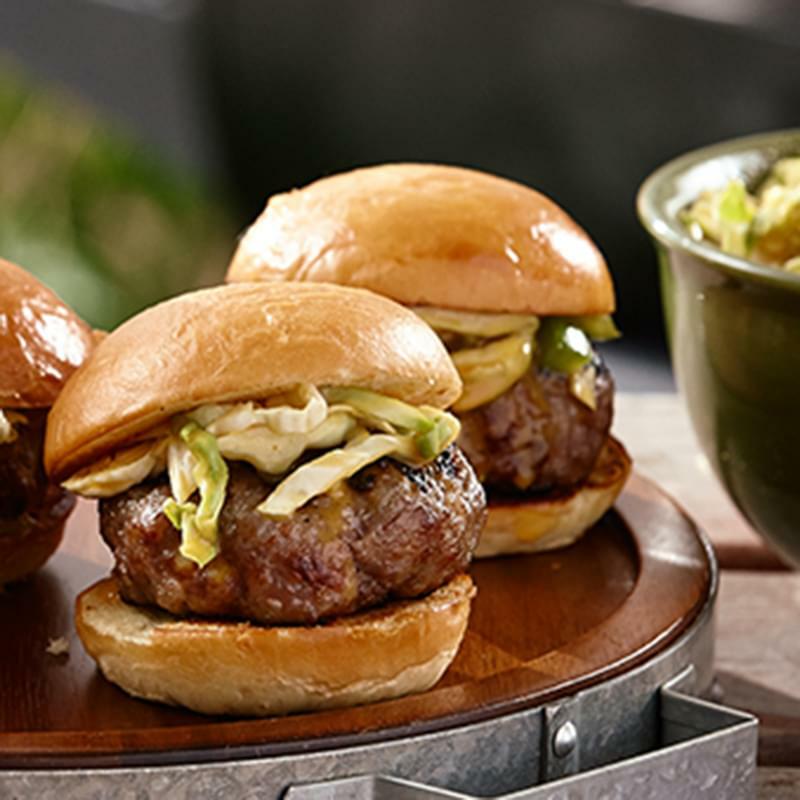 Top each of the buns with a burger and slaw.